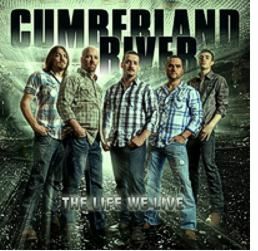 Cumberland River announces that they have signed with LoweRider Entertainment! LoweRider Entertainment is a full service talent agency from Nashville, TN. LoweRider Entertainment represents the best in live entertainment…from hit-making legendary artists, musicians and songwriters to up-and-coming stars. Cumberland River is announcing that the band has regrouped and ready to pick up where they left off! After taking roughly a year off from the road, band members Dustin Middleton, Jamie Stewart, and Joey Jones decided it was time to bring Cumberland River back to the bluegrass world. Jamie Dean, band leader of the popular bluegrass music band Cumberland River, yesterday announced that the music group would be disbanding effective immediately. Harlan, Kentucky native Dean and his family recently relocated to Florida due to his new full time non-music job and he has plans to release a solo album in the near future. Band members Dustin Middleton and Jamie Stewart, also from Harlan, along with Brad Gulley and Gary Robinson Jr. will go their separate ways in their music careers, but will certainly always remain lifelong friends. Scottown, OH (July 30, 2013) -- Cumberland River is proud to announce they will perform at the AU2 Rally in the Valley on Saturday, August 24 supporting the Huntington, West Virginia chapter of the Ronald McDonald House. The event will be held at the home of the Appalachian Uprising festival on Eden Valley Farm in Scottown, Ohio. Cumberland River would like to announce that Joey Jones is stepping down from the band. Joey is stepping down from touring with the band to work full time with Rock House Entertainment. 2013 is in overdrive for Cumberland River as this hard driving, high energy bluegrass band, has a brand new album coming out later this year. The band is currently in the studio working on their new project. This album will feature Brad Gulley in his new role as lead singer. Brad is the son of singer/songwriter/producer Steve Gulley. Nashville, TN -- Justified: Music From The Original Television Series, releasing January 8, 2013 on Madison Gate Records, features a collection of 13 hand-selected and fan-favorite songs from the Sony Pictures Television/FX Productions original series, Justified. The album includes the main title theme “Long Hard Times To Come,” an original recording of “Stand By Your Man” by Beverley Staunton, songs by Dave Alvin, Rural Rhythm Records' artist Cumberland River’s (“Justified”) and more. The digital album is available now for pre-order on iTunes. Season 4 of this hit TV show starring Timothy Olyphant premieres on the FX Network on January 8, 2013 at 10pm PT/ET. The Cumberland River Academy of Bluegrass and Appalachian Music are proud to present the third annual student fundraiser: A Coal Miner's Christmas. The event will be held at the Bell Theater located at 114 Kentucky Avenue, Pineville, Kentucky on Saturday, December 15, 2012 at 7:30 pm. Nashville, TN -- Cumberland River can be seen on the upcoming Rural Rhythm Records’ TV production, Christmas The Mountain Way - A live performance musical show showcasing Christmas and its traditions in the Appalachian Mountains. The program was filmed at the historic Bell Theater in Pineville, KY for broadcast on national cable network BlueHighways TV and will air in November and December. This live concert event was hosted by Mike Scott and also includes performances by: Marty Raybon, Audie Blaylock, Dale Ann Bradley, Steve Gulley, Common Strings, Students of the Cumberland River Academy and many more. Kure Beach, NC -- Bluegrass is Back on Pleasure Island. 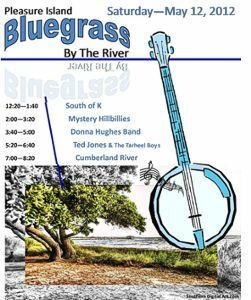 The Pleasure Island Chamber of Commerce presents the 1st Annual Bluegrass By The River on May 12th at the Ft. Fisher Air Force Recreation Area. After being away for a few years, the folks at the Chamber decided it was time to bring this Family-friendly event back to its home -- Pleasure Island. Harlan, KY -- Legends 2, in Pennington Gap, Virginia opened last October and has been serving home cooked meals that have made this one of the most popular new restaurants in the area. 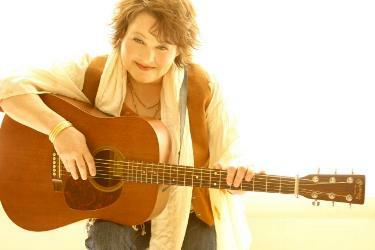 The restaurant is now hosting live music including the upcoming February 25, 2012 concert with Dale Ann Bradley and Steve Gulley beginning at 8:00 pm. Legends 2 is owned and operated by Chastity Dean and her husband, Jamie Dean, band member of the hot new group Cumberland River who will also be performing that evening. Legends 2 is located at 8426 US Highway 421 in Pennington Gap, VA. Tickets are $12 and can be purchased at the door. Atlanta, GA -- Hope River Entertainment is proud to announce a weekend of bluegrass music with Cumberland River and Nu-Blu. 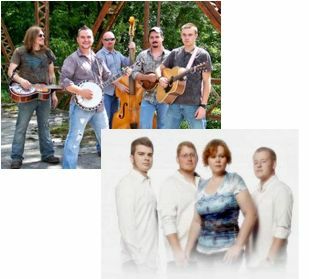 Both bands are celebrating significant chart success with their new albums including both artists appearing on WNCW Radio's Top 50 Bluegrass Albums of 2011 and the Roots Music Reports Top 100 Bluegrass Albums of 2011. Both bands are celebrating chart albums and new videos releases. Today's Season 3 premiere of the hit TV show, JUSTIFIED will feature another original song, "Antietam's Hill," by Harlan, Kentucky bluegrass band, Cumberland River. The song was written by Cumberland River band members: Dustin Middleton, who also provides lead vocals; along with Jamie Dean, Jamie Stewart and Jamie Dean's brother, Mickey Dean. This Civil War themed tune appears on the band's current album, The Life We Live on Rural Rhythm Records (lyrics shown below.) JUSTIFIED airs on the FX Network at 10:00 PM.